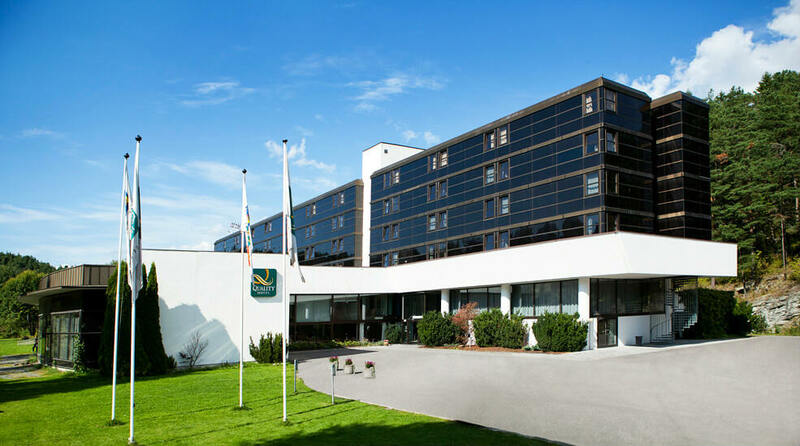 The Quality Hotel Entry in Kolbotn is an ideal place to come for both business and pleasure. The hotel is situated in beautiful natural surroundings just 10 minutes from Oslo near some excellent hiking trails. This is a cash-free hotel. You'll find the Quality Hotel Entry nestling in a leafy park in Kolbotn, just 10 minutes from the centre of Oslo. We offer free parking to all of our guests here at the hotel. Following extensive renovations in 2017, the Quality Hotel Entry is now a modern hotel with lots of open spaces, a wonderful bar area and a fresh lunch concept that focuses on seasonal ingredients. When you stay here, you can look forward to great food, advanced technical equipment and experienced staff who'll do their best to cater to your needs. Quality Hotel Entry is cash-free, which ensures added security for our guests and visitors. More information about this can be found under FAQs. The Quality Hotel Entry is situated in stunning natural surroundings. You can enjoy excellent hiking trails and cycling routes that easily enable you to reach nearby locations such as the charming town of Kolbotn or the wonderful beach at Hverven Bay. During the summer, we recommend a trip to the beach at Ingierstrand, just 10 minutes away by car. The hotel also has a large garden where guests can spend time having fun and relaxing. We're a popular holiday destination for families during the summer, particularly as the hotel is within easy reach of the Tusenfryd leisure park. We have an activity leader who entertains the children every evening with games, movies and football tournaments. The Quality Hotel Entry is also located near the popular beach at Hverven Bay. We're certain that you'll have a great family holiday here! We offer free parking to all of our guests here at the hotel. If you would like to take a bus into Oslo, there is a bus stop two minutes' walk from the hotel. We can arrange buses to and from central Oslo or Gardermoen Airport for conference guests (with coffee and cakes if you like!). Take bus 83 from central Oslo to the Mastemyr Hotell bus stop, which is located just next to the hotel. The bus takes about 15 minutes from Oslo Central Station. For more information and timetables click here. Take a train (rutetog) to Kolbotn Station or Rosenholm Station. From there it's a 3-minute ride in a taxi or a 20-25 minute walk to get to the hotel. You can request a fixed rate taxi from both Follo Taxi and Oslo Taxi. You can also take the Airport Express Train from Gardermoen to Oslo S, and then either bus 83 or a taxi to the hotel. 19 flexible conference rooms, the largest of which can accommodate up to 400 people. approx. 45 mins by car.